Caring for your jewellery properly keeps the pieces looking in their best condition, ready to impress at a moment’s notice. Over time sterling silver and even gold can become dirty or discoloured without regular cleaning and care. 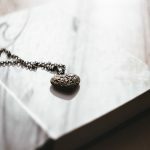 It’s often confusing the best way to clean jewellery or store pieces appropriately, so at Gift And Wrap we’ve put together a brief overview on ways to care for your jewellery. Over time, contact with everyday household products and even your own sweat can leave a layer on top of rings, earrings and necklaces. We recommend that you use a PANDORA polishing cloth to bring the sparkle back to your silver jewellery and to prevent the natural tarnishing that can occur over time. To thoroughly clean your jewellery, use lukewarm soapy water but ensure that you do not submerge your jewellery. Remove surface residue with a soft brush and polish with the cloth. The PANDORA care kit includes two polishing cloths for both silver and PANDORA rose, also included is a soft cleaning brush and a handy clasp and charm opener. There are various jewellery cleaning solutions available on the market which can be used to clean your jewellery, however we advise against using these solutions for PANDORA jewellery as they can affect the oxidisation of the designs. Did you know that fragrances, cosmetics and things such as hairspray can leave a residue on your jewellery that over time will dull their shine? It’s worth getting into the habit of removing jewellery before applying these products, or putting them on just before leaving the house. 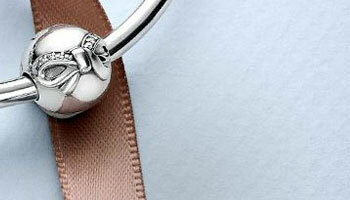 As the fragrance or hairspray sits on the surface of the jewellery, it can cause discolouring with regular exposure. 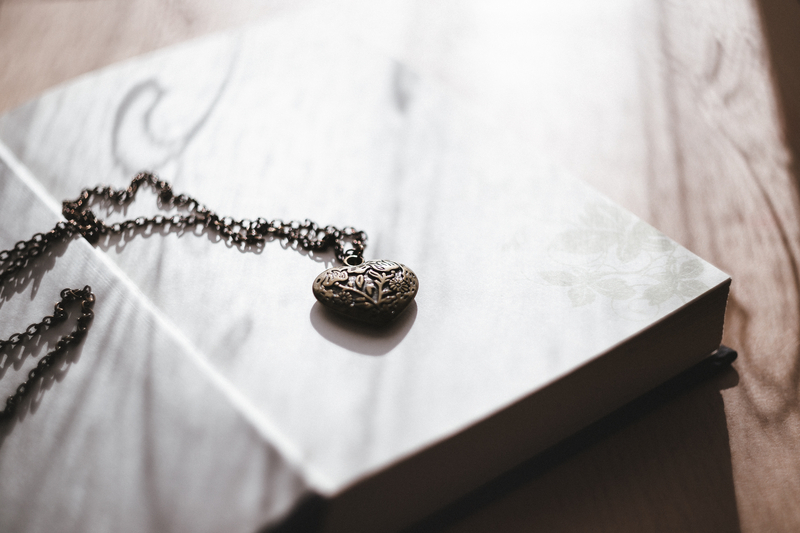 Necklaces are particularly at risk of being damaged due to the frequent spraying of perfume on the decolletage area. Similarly, always wear rubber gloves when cleaning as bleach + rings do not equal happy jewellery! Ensuring to avoid your jewellery coming into contact with harsh chemicals is a good first step in taking better care of them. Lost the jewellery box your earrings came in? Don’t worry about losing them again with the help of a simple button! Just attach each earring to the button hole to keep pairs together until you need them. Alternatively, use a spare piece of fabric to attach earrings to. Soft pouches are an easy jewellery storage option and those with a drawstring fastening can keep bracelets and necklaces safe. This is a great solution for keeping jewellery separate from other pieces to avoid tangling or damage, especially if they are of a higher value or more susceptible to damage. There are so many exciting jewellery storing products available, with trinket dishes and necklace holders in creative designs being seemingly popular at major retail stores. 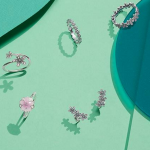 Dishes are perfect for holding rings and earrings and can add a decorative touch to a dressing table, whilst the necklace holders or trees keep them free from tangles. 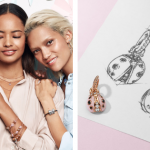 At Gift And Wrap we want you to cherish your jewellery, whether it’s PANDORA charm bracelets or Kit Heath necklaces, in order for you to enjoy them for many years to come. Our range of PANDORA jewellery will arrive in wonderful official PANDORA jewellery boxes, so be sure to keep these and use them to store your jewellery pieces to keep them safe!